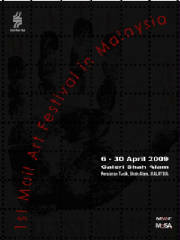 Located in Shah Alam, MALAYSIA; the 1st Mail Art Festival In Malaysia is home to all visual artists from all over the world on from 6 - 30 April 2009. 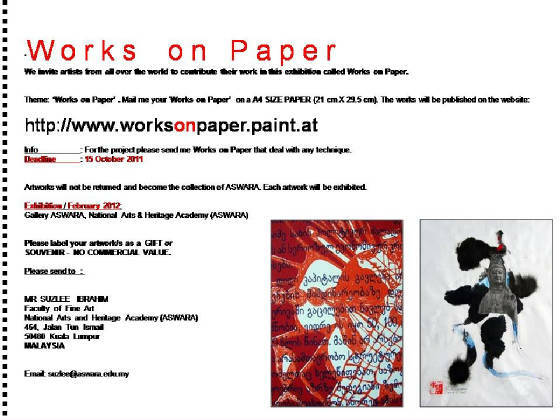 Visitors can view mail art created by artists from all over the world, watch artists create original works of art, have a light meal and enjoy 'live music' all in one venue. 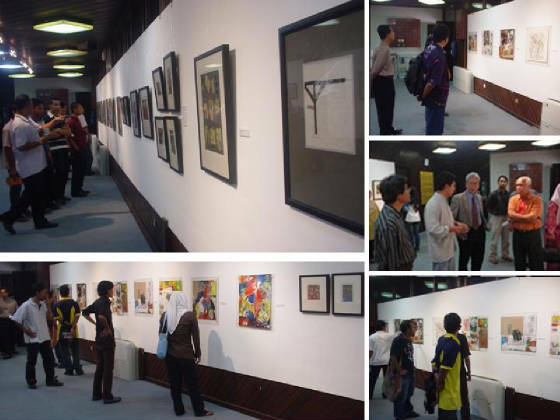 1st Mail Art Festival In Malaysia is a non-profit organization dedicated to educating the public and promoting the art in Malaysia. HOW TO PARTICIPATE IN 2010? PLEASE CLICK! !